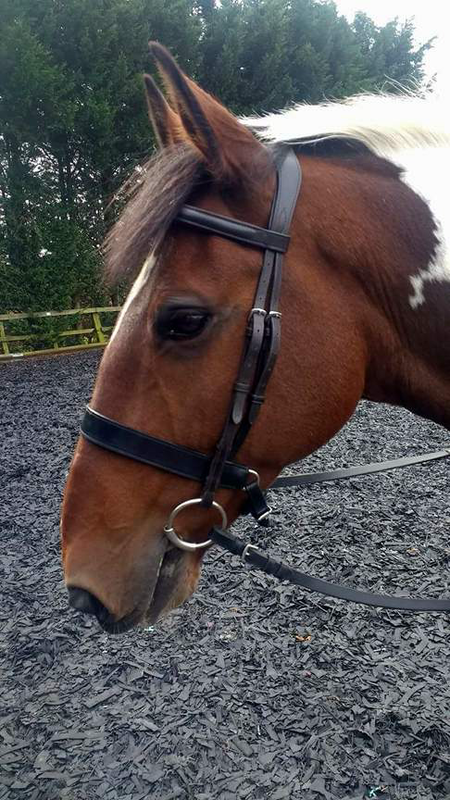 Understand how Bits, and Bridles really affect your horse. No Bit brand or Bridle Brand promoted as covers many . 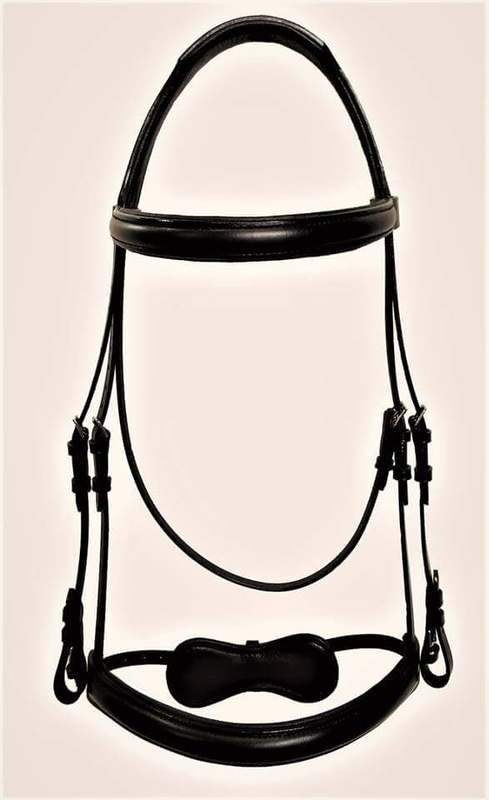 For owners, and riders, to give you confidence to fit Bits and Bridles to optimise your horse's performance. Consultations will be available early 2019 in NI, and Ireland. Consultations available for racing yards early 2019. HBF intermediate applied bit/bridle fitting knowledge course, and hbf advanced bit/bridle fitting assessment, will both be available 2019 for overseas. TS, DH, SR, NE, CA, DL. We are looking to take on Consultants, NI, and Ireland, and all over Europe. Also to cover CV Postcodes in England, as we continually expand, and our workload increases. Please Contact Us for further details. 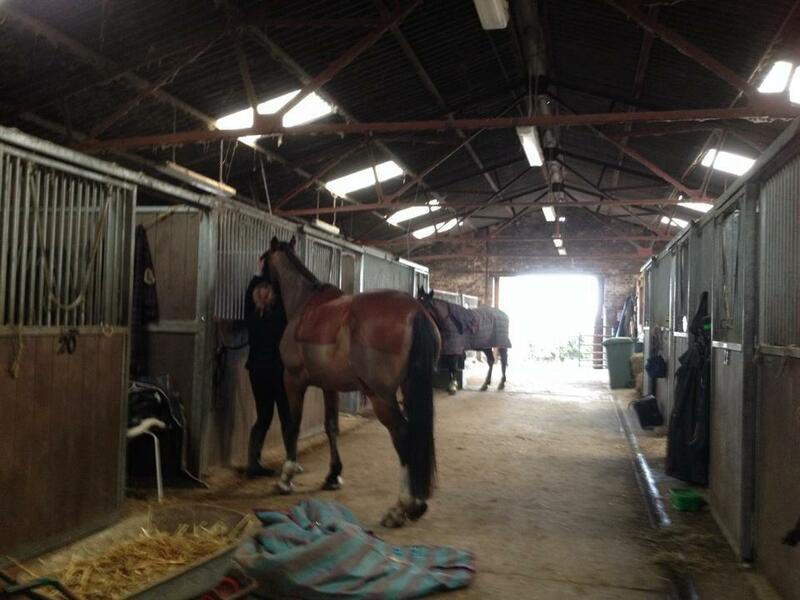 You must have background in either Equine Physio, Massage, Biomechanics or similar. 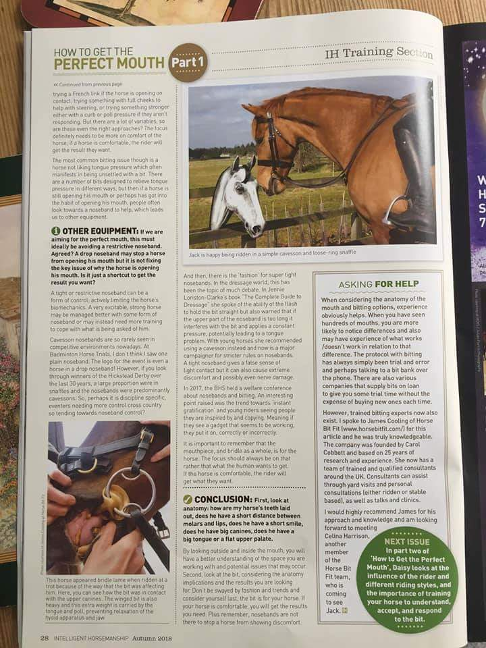 Understand, and be interested in welfare of the horse in ridden work. Have basic knowledge of Bitting. Be able to travel for training, and be self employed. HBF Basic Knowledge Course is a great place to start on our ladder. Excellent opportunity for the right people. We are bringing back our much loved Text Registration System for Bookings, using Whats App Business Account, and usual text! 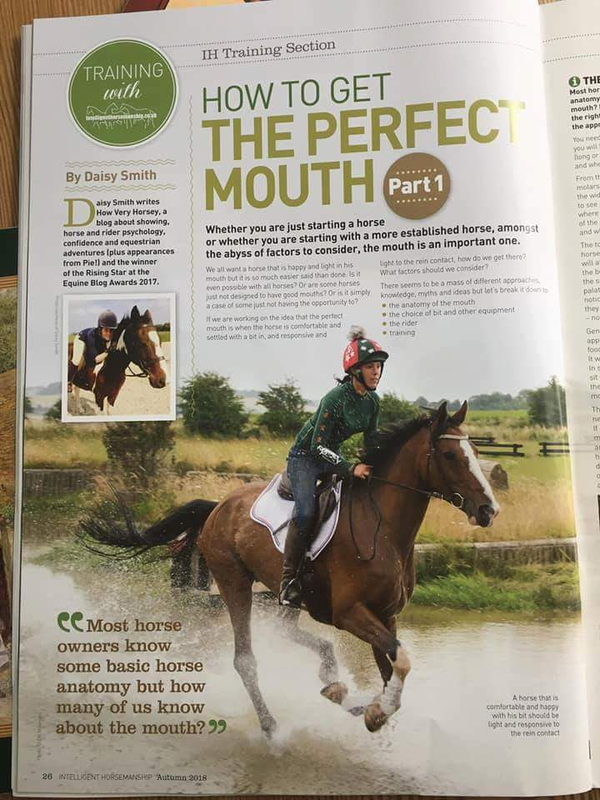 Simply send TEXT to number below, using "Whats App" or your normal text provider, with your horse's Postcode, your name, your email, your contact mobile, and the details will be passed on to your local Consultant, simple as that. You will receive Confirmation Text that your details have been received, and passed on. Consultants can still be contacted direct by using our Postcode Checker above, or send same details by Contact Form. So there are loads of ways to contact us to book! ALL OUR CONSULTANTS BRING GOOD RANGE OF BITS, including brands that cannot be trialed at bit banks, AND BRIDLES TO YOUR CONSULTATION. HBF USE NEUE SCHULE, sprenger, BOMBERS, HP/HS RELIEF (similar to myler), AND THE ORBIT RANGE. 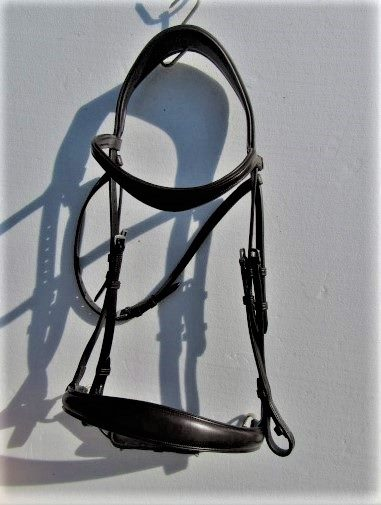 SATURN, SCORPIO AND TITAN BRIDLES, ARE BROUGHT ALONG TOO, WHICH WERE DESIGNED WITH OUR INPUT, AND WE'VE HAD AMAZING RESULTS WITH, IMPROVING BIOMECHANICS, AND horse comfort, andWELFARE. 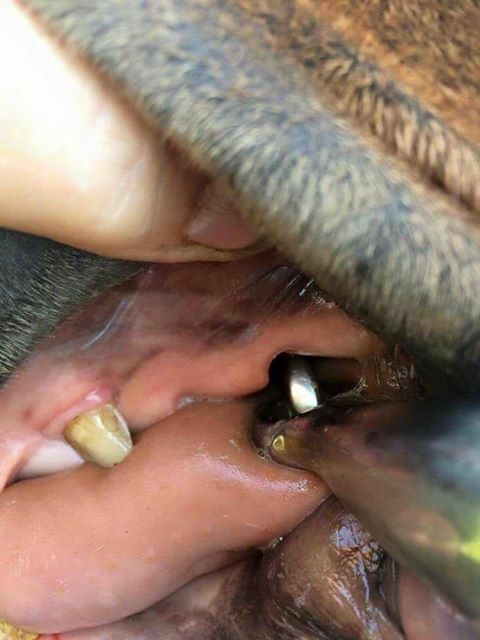 THE HS/HP RELIEF BITS, AND ORBIT BIT RANGE ARE MOUTHPIECES, AND SIDES THAT CAROL COBBETT PERSONALLY HAS had input WITH, AND ARE only AVAILABLE from hbf recommended suppliers . HBF ARE TOTALLY INDEPENDeNT ADVISORS, AND DO NOT SELL BITS, OR BRIDLES. THEY CAN BE PURCHASED THROUGH RECOMMENDED SUPPLIERS. THIS GUARANTEES THEIR QUALITY, AND THEY ARE NOT COPIES. 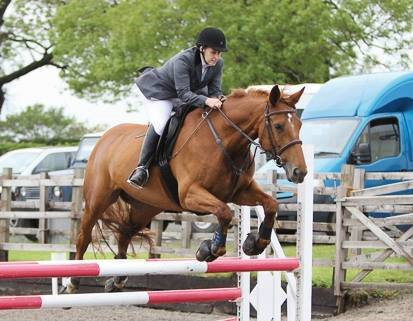 THERE IS NO HARD SELL, AND YOU ARE NOT EXPECTED, OR FORCED TO BUY ANYTHING, JUST RECOMMENDED WHAT WILL SUIT YOUR HORSE BEST. "We can't change the world by helping one horse, and rider - but we can change the world for that horse, and rider" Carol Cobbett, Founder. 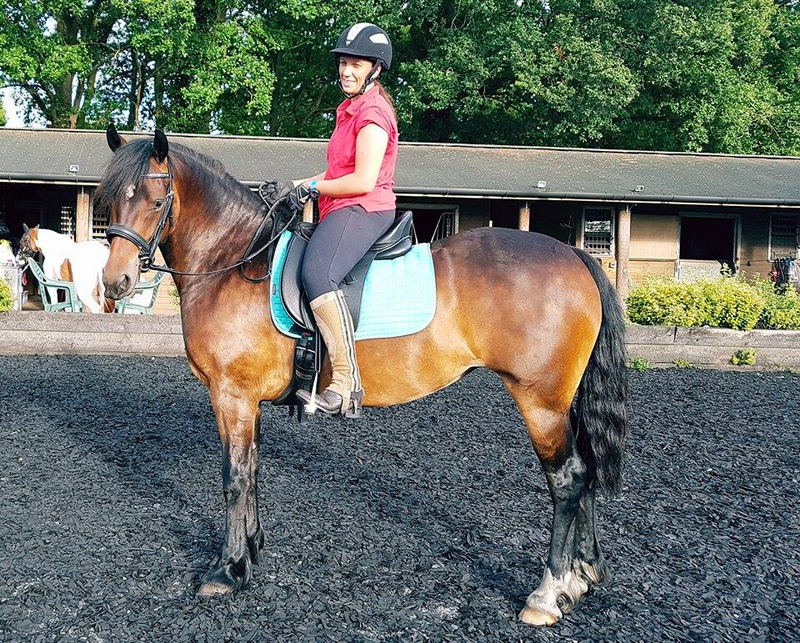 Most horse owners spend hundreds of pounds on a saddle, have it fitted properly, same amount of money on physio, dentists, but only a few pounds on the horses Bit, and very rarely have it checked, along with the Bridle . 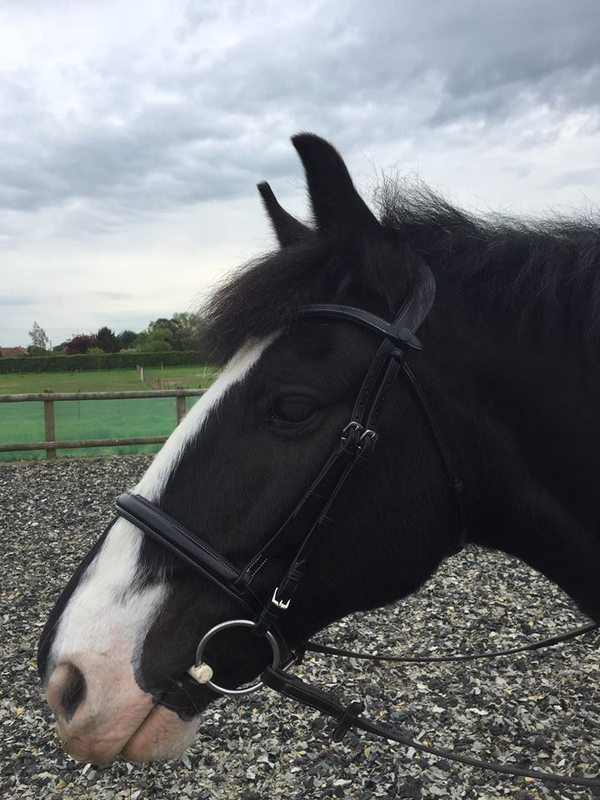 "Horse Bit Fit" isn't about what you spend on a Bit and Bridle though, but if both are fitted correctly, correct size, and not compromising your horses natural movement, with excess pressure points. Bit right way up (yes that matters too! 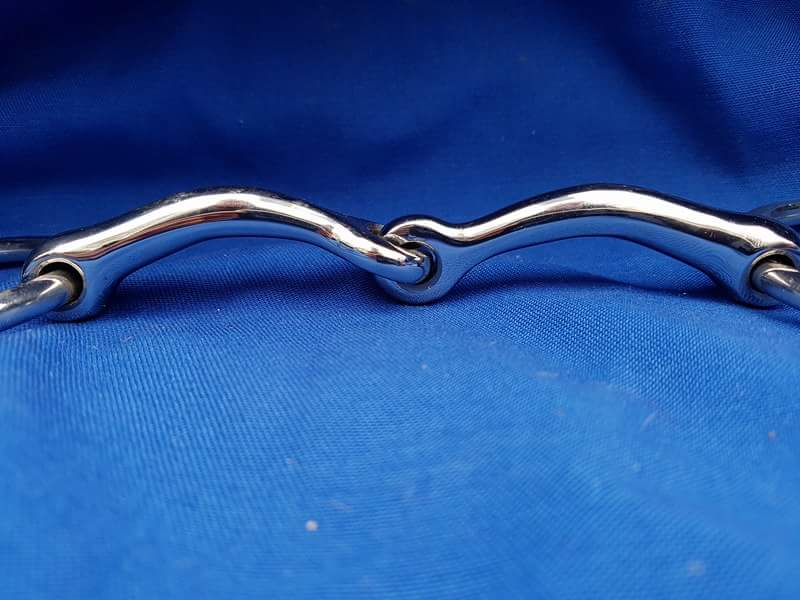 ), correct for your horses mouth conformation, and tongue shape, also suitable for what you want to do, or achieve with your horse. The habit or culture of Bit and Bridle fitting has been trial and error for so long now. just trying Bits because recommended by a friend, or by someone at the end of a phone. This does not work, and can be costly, not only in money, but horse welfare too.. 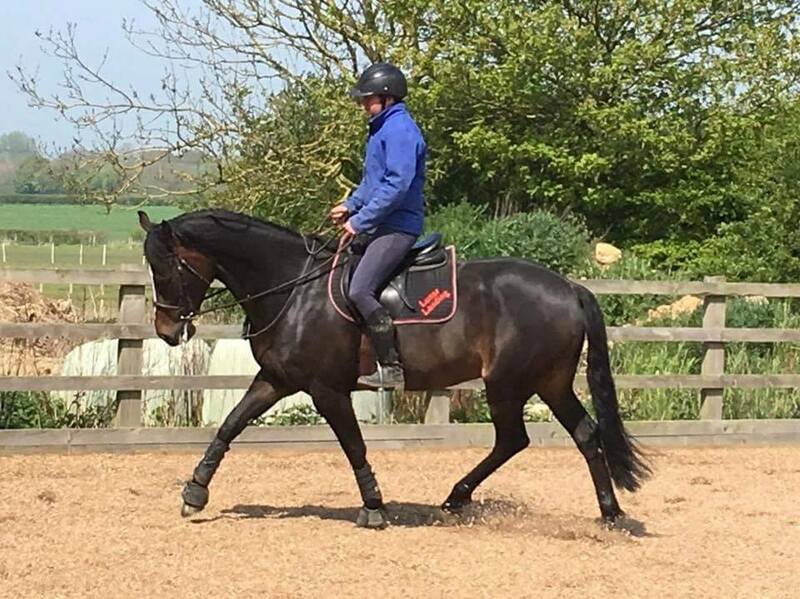 Horse Bit Fit are changing this totally, because there are so many factors to take into consideration. 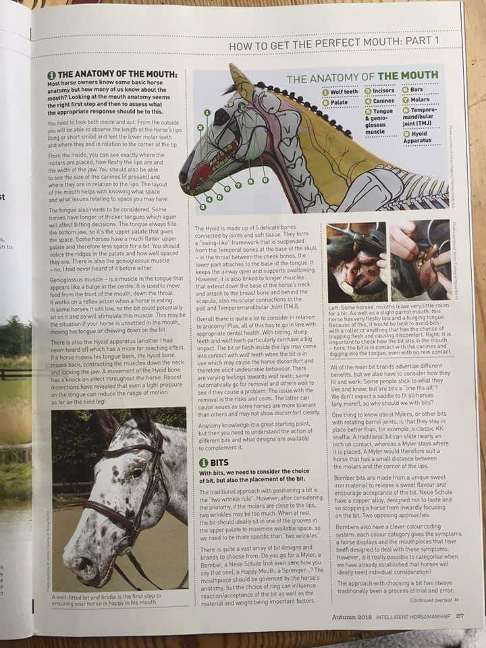 Conformation of the horses mouth, jaw, poll, ears, and how pressure points from Bits and Bridles can really affect a horses way of going, behaviour, and biomechanics. We take away all the guesswork, the feeling that your not getting anywhere, and the expense. "Horse Bit Fit" Consultation is a system of checks, concentrating on these pressure points from Bits, Bridles, especially Nosebands, making adjustments as necessary, giving advisories, and explaining to Riders how these affect the Biomechanics of the horse. With this we can transform horses, for lots of amazing reviews from Clients visit our Facebook Group Horse Bit Fit, or click Reviews. If a horse is not relaxed in its mouth, tongue, jaw, poll, and neck, the horse will not be able to engage shoulders, work through the back, and use hindquarters properly. 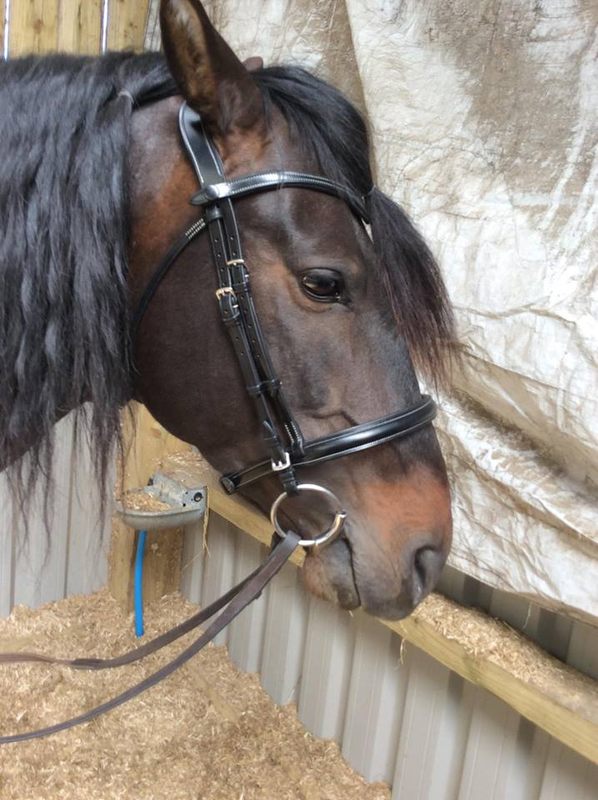 Nearly all napping, evasions, being strong, behaviour problems, not tracking up, poor transistions, are caused by discomfort, very often from the Bit and Bridle. 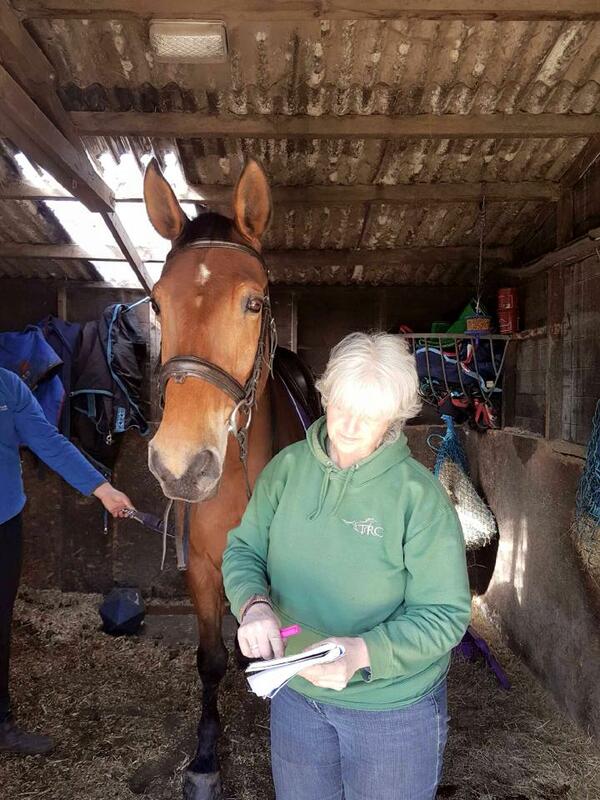 HORSE BIT FIT CAN NOW OFFER COMPLETE PACKAGES FOR YOUR HORSE, NOT ONLY BIT AND BRIDLE ASSESSMENTS, BUT ALSO SADDLE FITTING, MASSAGE, PHYSIO, CRANIAL. ALL OUR CONSULTANTS HAVE ONE OR MORE OF THESE AS BACKGROUND EXPERTISE. PLEASE CONTACT YOUR LOCAL CONSULTANT FOR MORE INFORMATION. Your details will then be passed onto your local Consultant. All our Consultants will try to answer your communications with 48hrs, some within 24hrs. We are expanding into Europe in 2019! we will be doing clinics in Ireland, and NI early 2019, also consultant interviews. we are expanding into Europe early 2019, followed by even further afield later in the year!